Yup, it’s almost that time of year again when a large chunk of the world wide writerly community goes crazy in the attempt to cram as many story telling words into one month as possible in the aim of having actually got their ideas out onto paper so they have something to work with and polish up, no matter how crap those original words are. 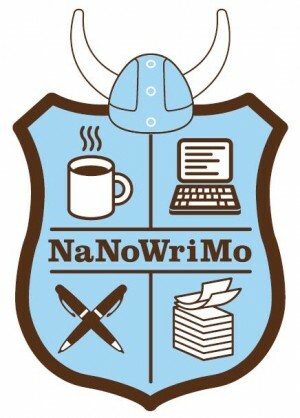 Now I’ve managed to complete the NaNoWriMo challenge the last three years running somehow (typically 50k words in one month) and I’m of course up for doing it again as it tends to be my most productive month of the year even if I’ve come close a few other times. I have found the best NaNoWriMo’s though are the ones where I actually put some planning in and knew what I wanted to write in advance. I’m not much of a planner, in fact I come much closer to the pantser type of writer, but for November I’m much more of a planner than normal. Instead of having a few scribbled plot notes of scenes in my ideas notebook to go on and mostly ignore, for NaNo I usually spend the last couple of weeks in October mulling over plot details. Important character decisions and the main scenes where important matters happen or dialogue is said are the things I focus on. This usually leads me to the plot points I’m not sure on yet. By thinking over the scenes and what might link them it forces me to decide on stuff that needs to happen that I normally leave until I’m writing the book. This can be minor details like what someone is doing in a scene while a conversation is happening or it can be a big detail like the motive for an action or even the entire plotline for a less major character who needs to be given more detail. It can even lead to me realising I need another POV character or something as fundamental to the writing as that. I also find it helps me do my research in advance. Knowing the science, history or forensics before the scene is written usually helps me imagine it that much quicker. As a pantser I often don’t plan too much because I don’t want to take the fun out of writing, and I know other pantsers say the same thing about why they don’t do detailed plans, but whatever your method and whatever your reasons, to get the wordcount at the end, it definitely helps to have thought through enough that there’s no stopping to work out important details that could have already been fixed. The final thing I try and do to get me off to a good start is harness the part of the book I write best. I know from my own writing habits that the first 25% of any story and the last 10% go the quickest for me. I love delving into a new plot and I love getting close to the end, so I harness this for NaNoWriMo, especially if I’m stuck. I almost always start something new for NaNo (the rules say you’re meant to anyway, but plenty of people cheat) and push myself to get ahead while writing that 25% because I know I’ll find it easier and it will provide me with some grace if I get stuck after. I’ve also been known to give up on the story I started for NaNo and write a complete shorter work to give me a boost. I did this last year and wrote the first 39k of Sherdan’s Country before switching to write the entire 21k of my novella in the Kiss anthology, which I penned down in only 6 days towards the end. With the little bits I did in the few final days I entirely rescued my NaNo target and smashed it by over 10k, hitting almost 62k by the end of the month. Technically I cheated. I didn’t quite get to over 50k in one story, but I had a completed novella and was over half way through the novel I originally wanted to write and that’s a success for me. This year I’m going to start with my Mycroft Holmes Adventures 2 novella and then when I’ve got that done, if I’ve had time to plan 3 I’ll try and write 3 as well, if not continue on with finishing Hearts of the Seas 2, Victorious Ruin. Whatever I write though I’m aiming for at least 60k. I’ll be blogging about my progress each tuesday through November for those who want to see if it goes according to plan or not. So far I’ve managed a total of 47,391 words, comprising of over 21 chapters and 67 A4 pages of text. In the second week of Nano novelling I managed to write 14,619 words, about 1k more than I wrote in the same week last year. As I expected my third week was a low week. I had hospital tests as well as a trip to Cornwall for a couple of days and it meant I took two of the seven days off from writing and had really low counts for two of them so I only got 6,127 words written, 3.5k less than the same week last year. According to the stat calculator on the main Nano website I’m due to finish tomorrow at my current average per day, but I think I can write the last 2.5k today if I really crack on. I still feel really positive about the story as well. There’s even more good dialogue and the plot is moving along nicely. I’m going to need to do some editing of a few particular events and maybe swtich some chapters around but so far it’s still moving along the plot nicely and still looking like a reasonable 75k novel give or take a few k.
Originally I actually hoped to get 60-70k written this month but the low word count from week three has made that pretty much impossible now. If I feel inspired all week I might hit 60k but I think it’s looking more like 55k or so, meaning I won’t finish the book this year but I should manage to in January. I’ve also finally decided on a title I like so this year’s NaNo Novel is Sherdan’s Legacy and as you’ve probably noticed there’s now a little progress bar on the right for it, along with all the other in progress books. I have a feeling most of next year is going to be devoted to finishing novels.